As we look at the early MLB standings this year, there are a lot of surprises in the number one spot in several divisions including the National League West. The team with a comfortable lead in the west currently is the… San Diego Padres? Who knew? This team has had a very good start to the season that propelled them into this spot. There is a lot of young talent in this lineup that is led by veteran presences in guys like Eric Hosmer and Manny Machado that may serve them well in the long run. However, even with this hot start, there is a couple of things that must be looked into before we crown them division champs just a couple weeks into the season. The first thing is just that. Currently, it has only been a few weeks since the start of the regular season and as of now the competition they’ve faced was not all that impressive. So far the Padres are 11-6 and have played the San Francisco Giants in two series, along with two more series against the Arizona Diamondbacks, and three games against the St. Louis Cardinals one of those three postponed. So far their opponents have a combined win-loss record of 23-23. Only one of the teams they have faced is above third in their division. Usually, teams that start out hot flame out midway, but there are a couple of things the Padres have going for them that could work into their favor. The young pieces on this team have really stepped up this season. Especially Fernando Tatis Jr., who MLB.com currently has as the number one candidate for the NL rookie of the year award. With these young pieces comes the fear that they may eventually get “figured out” as the season goes on. The hardest thing for a player to do in any game, especially their rookie season. Is to adapt and change with the landscape. This is what separates good players from great players. The Padres have a lot of guys that may be able to make this switch. However, only time will tell. The answer to whether they’re pretenders or contenders right now? It’s too early to tell, they’ve played a total of three teams. In fact, we aren’t even out of the first month of the season yet. It looks like they’ve got a lot of projected upwards swings, but projections don’t really mean all that much. The one thing that is for sure about this team is, this is going to be one team to keep your eye on. Especially if you are an NL West fan. Here’s to looking at you, Los Angeles Dodgers. 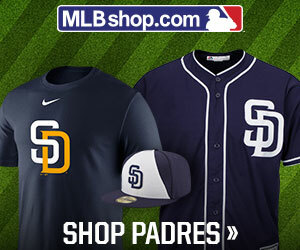 Do you feel that the San Diego Padres are contenders or pretenders? Leave a comment below.